In a food processor , combine all dressing ingredients until smooth and creamy. Reserve. 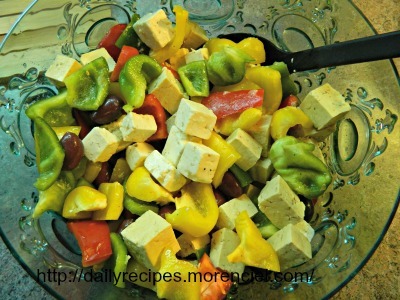 In a salad bowl , combine the remaining ingredients. Add dressing and toss just before serving .